Where: The First United Methodist Church, 1376 Olive St.
White Bird De-escalation Training. Learn skills for interacting successfully and safely with folks on the streets who may be in distress. Please bring a neighbor and join us for this pertinent, hands-on, and fun exercise. The most important meeting of the year! All board positions are open each year and anyone living or owning or managing a business or nonprofit in the JWN may run for any position either by contacting the JWN or self-nominating on the floor at the time of the election. However, we recommend that any interested members contact the Board to learn about the positions and workload. This year, the Nominating Committee was approached by two members who expressed interest in running and five of the current Board members are running to retain their seats. Current Board members must stand for re-election to keep their seats/positions. There are two titled positions, Chair and Vice Chair, and five at-large positions. The Nominating Committee, comprised of a board member and two residents, prepares a slate of candidates and ensures that we have enough people to at least fill all seven positions. Each position is voted on separately. Notices for the election are sent out in our Winter print newsletter delivered to every address in the JWN and via our monthly eNews. State Senate considering imposing high density rules in all Oregon cities. SB 10 would force cities over 10,000 to allow ultra-high-density development within a half mile of any priority transportation corridor. This would override all current zoning in the entire JWN and allow up 75 units per acre (43560 sf) with no requirements to provide parking. Currently, the JWN special area zones allow up to 18 units per acre. Further, any height required to achieve this level of density must be allowed. 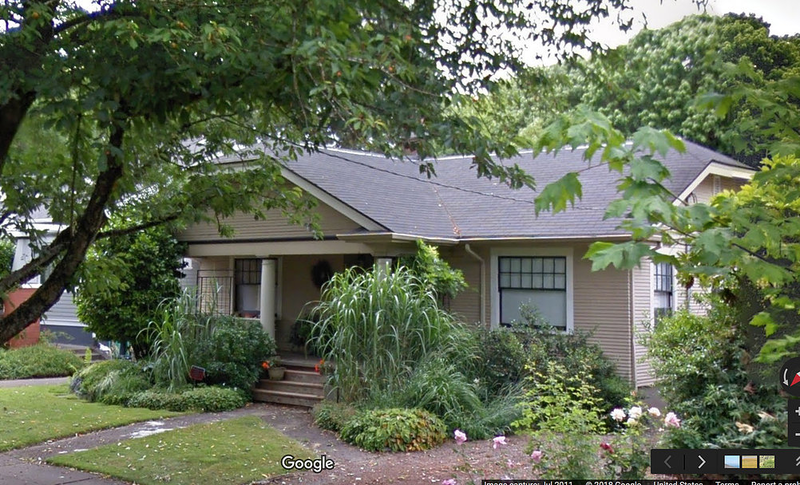 For example, a 6000 sf lot could have about 10 units and could potentially be 3+ stories. Obviously, this would greatly burden existing infrastructure, cut off air and sunlight, and result in the removal of numerous trees. There is no requirement that any built units be affordable in the technical or practical sense. In fact, the can’t be, it doesn’t pencil out. The JWN opposes this and similar bills on both conceptual and practical grounds. Coming to the JWN? Affordable to who, exactly? First, the state stepping into local zoning rules intrudes on a cities’ sovereignty and the ability of citizens and their elected officials to make decisions that reflect the will of the people that directly impact their lives and property. It is also a clear violation of State Planning Goal 1 which requires public input in every stage of the planning process. How can anyone besides special interest groups and developers participate in, let alone influence, what goes on in Salem? These moves by the legislature are deeply anti-democratic. The problem lies in the cost of built urban infill housing, demolition, and construction combined with how development is financed. The average household income of a Eugene resident is $26,313 a year – 30% for housing is $650 a month. The median household income of a Eugene resident is $42,715 a year – 30% for housing is $1075 a month. One bedroom apartments in Eugene rent for $996 a month on average and two bedroom apartments rents average $1278. This means that a family making the average income is typical spending a lot more than 30%, those who made the median income are closer to the 30% depending on the number of people in their household. The problem is that urban infill is constrained by certain stranded costs that makes it highly unlikely it can provide affordable (in spending 30% or less) housing. As a quick back-of-the envelope calculation, for example, let’s look at a four-plex infill development in the JWN. Keep in mind that this level of density is currently allowed in our SAZs with some set-back and slope restrictions. Since we are built-out, lots already contain houses situated for a single home lot. Currently, the starting price for a house in the JWN is about $300k. So, first that house has to be purchased and demolished (about $15k). Let’s say the proposed four-flex units are 1000 sf each – about 10% of a building like this is “wasted” non-residential space (hallways, stairs, etc. ), so add at least $70k on top. That means that for the typical construction costs (including profit) is between $175 and $200 a sf (excludes any non-habitable development cost such as storage, hardscape, or landscaping). Therefore, the building costs are between $175k and $200k per unit or $700k to $800k for the four-flex. Add to that the cost of land ($300k) and development charges ($20k) and that wasted common space and your four-plex project is now at 1.2 million+. A developer is going to have to borrow that money, pay interest on it, and show the bank that he/she can a make profit renting it. If these new units are rented at the average 2 bedroom price of $1278, you get a yearly income of $61,344 for the four units. That is even if you do not include yearly taxes, upkeep, and management fees (which are not insignificant). A typical return-on-investment (ROI) for rental property is 10% per year, so to hit that you would need to CLEAR $110,000. To hit that, you would need to charge $2291 a month per unit (again, not counting taxes, upkeep, and management). Also, let’s not forget the comparably low cost urban rental house home you just took permanently off the market. A structure whose carbon cost was “paid” and the several tons of carbon and waste you just generated to build the four-plex. The JWN is 65% renters and many live in marginal rental houses. Because these are the most affordable, our fear is that these rentals will be the first to be redeveloped and result in a net loss of affordable rentals. Therefore, we will get the worst of both worlds, degraded livability, the destruction of older historic homes, lost mature trees, and gentrification. SB 10 is great way to chase renters out of the urban core. What About an Owner-Occupied Duplex? In another scenario, the property could be developed as a duplex, each for sale as owner occupied.Keep in mind that in a vast majority of the JWN, this sort of construction is currently allowed with some restrictions on setback and slope. At 1500 sf each that would place the cost of construction (@$150 per sf) at $225k, plus the $300k for the lot, 15k for demo, 30k for development fees and you get $400k EACH. While this would help fill out the $350-$500k low inventory segment, it is way out range for the vast majority of residents, since you would need to have an income twice the median to afford it. Bottom line is that built-out urban land is expensive and desirable neighborhood like the JWN are even more so. Look around, as developers can get the financing, this type of development is cropping up. This does not serve the people who already live here. Finally, there is the fact that the land on 6th and 7th is already zoned for high density and buildings can be as tall as 120 feet!. Downtown and the EMX is right there. Notice any big apartment buildings or or condos going up? No? That is because the investment would be massive and developers do no see the risk as worth the cost. Seems like a great place for subsidized affordable housing, we have been asking for it for years. If we thought any of this would make housing more affordable we would be supportive. But all SB 10 does is steal agency from communities and leave them at the mercy of developers. It completely ignores the unique conditions on the ground and fails to take advantage of opportunity siting for higher density in neighborhoods. SB 10 will make a few people a lot of money on the backs of the many who can’t afford it. Urban neighborhoods like the JWN have been ignored, dis-invested, seen tough times, and fought their way back to viability due to the hard work and dedication of residents and now that we are hip, trendy, and in demand they want to hand it over to gentrifiers looking to make a quick buck. SB 10 has nothing to do with affordable housing and everything to do with greed. Don’t buy the lie. Act Now – find and contact your state representatives (find them here) and the Senate Housing Committee. Tell them we need help, not harassment, and the resources to create our own housing solutions, not unfunded mandates.